The violent hail storm that passed through the Chicago area on July 1 caused major damage to the city's historic Garfield Park Conservatory, as reported in this video from FOX News Chicago. A Chicago Sun-Times report provides more details about the damage as well as information from a Chicago Park District spokesperson who said that weddings will go on as scheduled and will take place in areas of the conservatory that were not damaged by the storm. 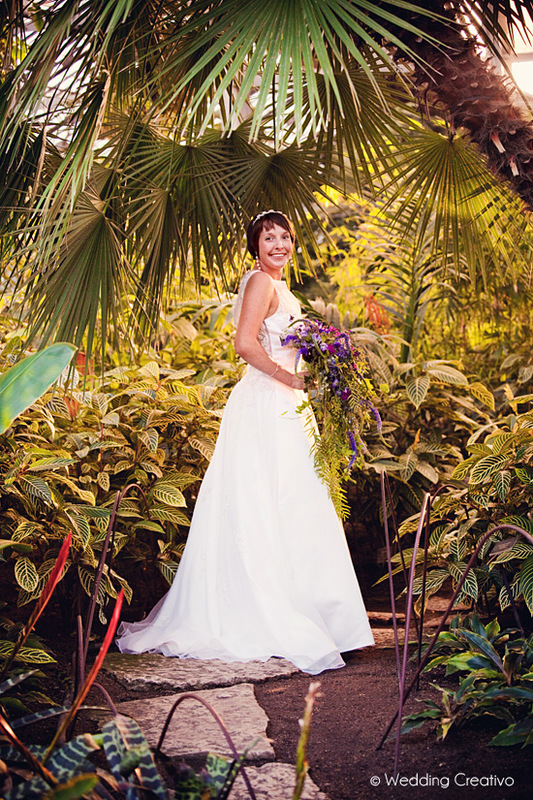 Not only is the conservatory a Chicago landmark beloved among nature lovers in general, but it is also one of the most popular Chicago Park District venues for weddings. While couples may be relieved to hear that they will not need to find a new wedding venue, many will surely be saddened and disappointed about the extensive damage to the historic fern room and other glass-covered areas that are popular for weddings. Garfield Park and its Conservatory are listed on the National Register of Historic Places. In 2008 its 100 year anniversary was celebrated, and with 184 acres it is one of the largest conservatories in the United States. The community rallied 17 years ago to help the Conservatory recover from a devastating cold snap. With local government funding likely to be scarce in this down economic time, it is certain that citizens giving a helping hand will again be essential in this recovery effort. 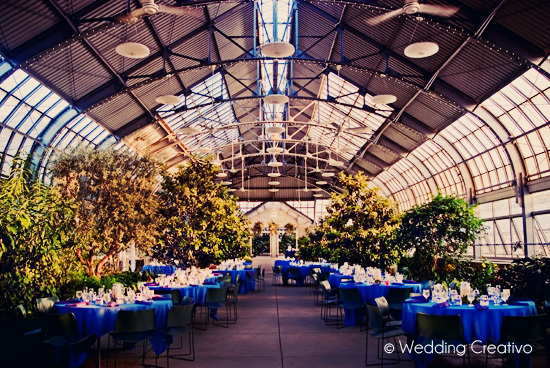 Wedding Creativo just made a donation, and we hope our blog readers will also respond with a donation to the conservatory today. A special page has been set up on their website where people can help.